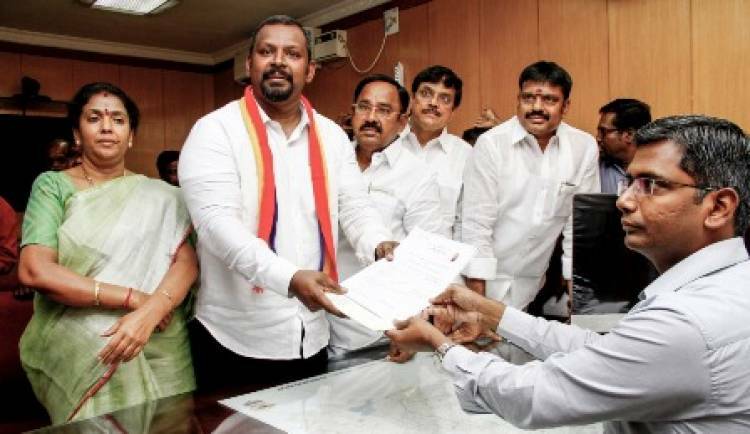 PMK Central Chennai Candidate Dr. Sam Paul ( PMK IT wing secretary) submitted his nomination today at the Zone 8, Corporation of Chennai office, Shenoy Nagar to election officer P. N. Sridhar in the presence of AIDMK ex Minister Gokula Indira, District heads, Na Balaganga, Sathya, Venkatesh Babu and Dhananjayan from BJP. Dr. Sam Paul vowed to stand by the collective manifesto issued by the Alliance and also focus on geo specific issues in his constituency. He vouched to further enhance functioning of government offices and processes more effective and people friendly.